This Helpful Table Skirt Allows Users to Dress Up Worn Out Tables! 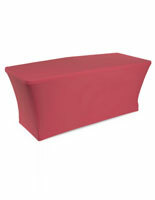 The E-Warehouse Stocks More Decorative Tablecloths, As Well! Log On to Find the Attractive Table Skirt You Need! 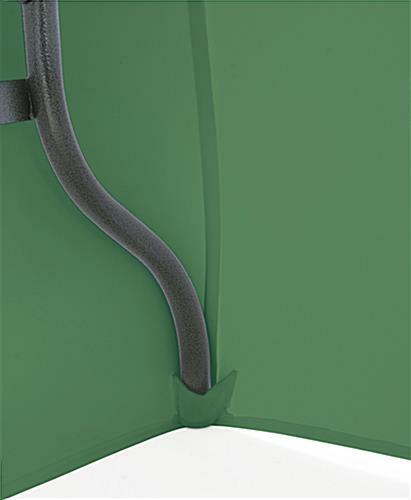 Vibrant green color attracts attention from every direction. 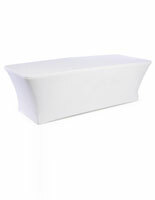 Sold without graphics for you to personalize your table display. 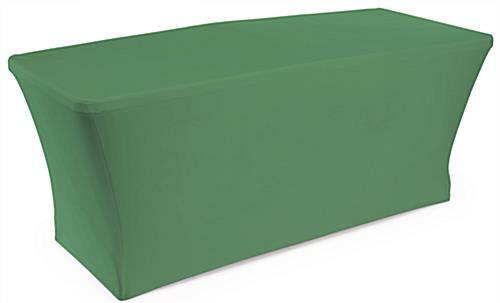 Stretch fabric is designed for use on a 6 ft. table. Machine-washable & iron-safe fabric to be easily cleaned before your next event. 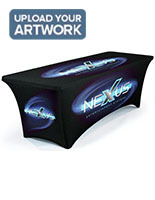 This trade show cover, table skirt creates a more refined presentation than most other throws and linens. 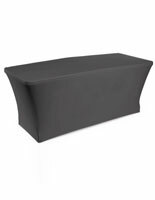 Unlike regular tablecloths that often wrinkle, this stretch cover is specifically tailored to fit snugly around 6-foot tables, which provides users with a smooth surface for displaying merchandise. 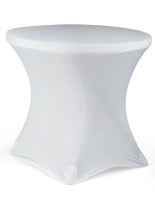 With this fitted table skirt, set-up is much easier and faster than standard tablecloths. The unique design of this cover fits over a 6 foot table without the use of clips or pins. This tradeshow table linen, table skirt includes sewn-in pockets for the feet of tables for a seamless look. 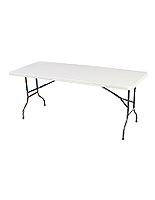 The table skirt covers three sides of display surfaces, leaving the back open for the storage of accessories and or seating for employees. Fabricated from polyester and spandex, this fitted cover is machine-washable to allow it to be cleaned easily in time for the next event. 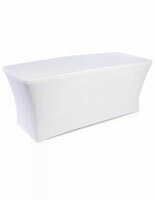 This table skirt, also known as a trade show linen, has a modern design that is great for use during any special event. 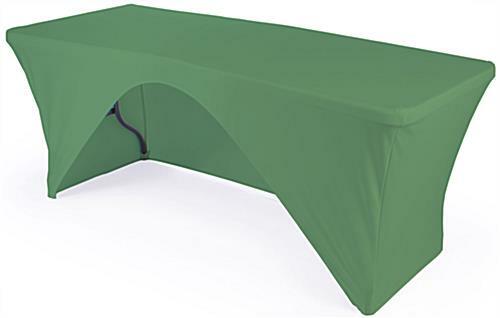 Tablecloths are perfect for use during trade shows, meetings, recruiting events, and other formal occasions. 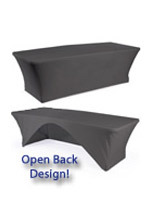 Buy a table skirt to successfully draw the attention of attendees!